Step Tempest: Duo, Trio, Quartet! Although Steve Wilson (alto & soprano saxophones) and Lewis Nash (drums) have worked as a duo since 2001, "Duologue" (Manchester Craftsmen's Guild), recorded in March of 2013, is their first CD as an ensemble. And, it's a treasure. Opening with 2 Duke Ellington classics, "Caravan" and "The Mooche", they prove to to the listener right off the bat that not only will they swing but they will also be having a lot of fun. Wilson's bluesy side shines on the latter track while Nash is getting deep into the rhythm. The program contains 2 "Monk Medleys", the first combining "Ask Me Now" with "Evidence" (Nash's brush work is superb) while the second pairs "Bright Mississippi" with "Four In One"." Wilson's soprano soars on the first, kicking up a storm above the drummer's whereas the second one showcases his soulful alto sound as well as Nash's super-sweet stick work. The duo is not afraid to rearrange classic material; they give "Jitterbug Waltz" a splendid out-of-tempo introduction before kicking into the melody. The sprightly "Happy House" (from the prolific pen of Ornette Coleman) jumps out of the speakers as a true conversation, one that carries on in and out of tempo. Saxophonist Eddie Harris's "Freedom Jazz Dance" is a drum solo and quite a treat at that. Nash shows his melodic side even as he propels froward - and his cymbal work speaks volumes. Wilson's "Row Twelve" is one of 3 originals the saxophonist contributes to the program and his solo performance. The trills, short fragments and long tones don't fill every second and that's good - the surprise is to see where he's going next. On the other hand, his "Black Gold" is a fiery free-for-all with both musicians going all-out yet never going berserk. "RCJG", the final of the originals, also has an Ornette Coleman, with Nash driving the piece the way Ed Blackwell used to and Wilson riding the percussive waves. "Duologue" will make you smile, from the opening "Caravan" to the vivacious "Woody 'N' You" that closes the show (quite a display of drumming.) Steve Wilson and Lewis Nash are masters of their respective instruments and, even though the vast majority of the material is well known to most jazz aficionados, they never play it safe. Refreshing and soul-satisfying music - highly recommended! For more information, go to mcgjazz.org/_wp/mcg-jazz-releases-two-new-recordings. "The Where", the second CD from the Canadian group Myriad3, shows more of the rhythmic excitement, melodic adventure and sly humor that made their 2012 debut on the ALMA label "Tell" such a treat. They display a great sense of balance. Each member - Chris Donnelly (piano, synth), Dan Fortin (acoustic and electric basses, synth) and Ernesto Cervini (drums, percussion, bass clarinet, clarinet, flute, alto saxophone, glockenspiel) - contributes 3 originals with the 10th song a 3-part medley of standards. "First Flight" (composed by the pianist) shows how the band understands the dynamic range of modern trios like The Bad Plus; Donnelly, like TBP's Ethan Iverson, has a classical bent and leavens that with blues and pop music flourishes. There is a captivating groove to "Undertow", which also features catchy synth work and Cervini's bass clarinet in lockstep with Fortin's bass line. The pianist truly pushes the envelope with "Brown" which opens with a piano groove not unlike The Rolling Stones "jail" 45 "We Love You" from 1967 but soon quiets down, first to a rhythmic left hand piano solo the to a more impressionistic take before going headfirst into a rhythmic frenzy to the finish. Cervini contributes the handsome ballad "The Strong One"; taken at a deliberate pace, the melody line reminds this listener of John Lennon, how some of his later ballads had an understated feel. The drummer also composed "Little Lentil", another deliberate pace, this time with the melody shared by the piano and glockenspiel. It takes a moment to hear the charming brushwork of the composer. There's a mechanical rhythm throughout "der Trockner" (German for dehydrator), Cervini's 3rd piece, and one that spotlights his fine drumming and ability as a reed section. Donnelly's exciting solo and Fortin's thick electric bass lines feed off the drummer's feisty drumming (he sneaks in a few reed section fills as well. The title track is the first of Fortin's 3 compositions. Opening with a short bass ostinato, the pianist's quiet, Satie-like, phrases rise up out of the rhythm section. This is one of the band's more "conversational" pieces as they seem to feed off each other's energy. His energetic "For All The World" has the feel and energy of a "prog-rock" song while "Don't You Think", with its tolling piano chords and deep bass notes, closes the program on a somber tone. The "Bebop Medley" is reminiscent of the multi-tempo version of "C-Jam Blues" that appears on the debut CD. It swings mightily but is also mighty goofy and probably works better in concert. 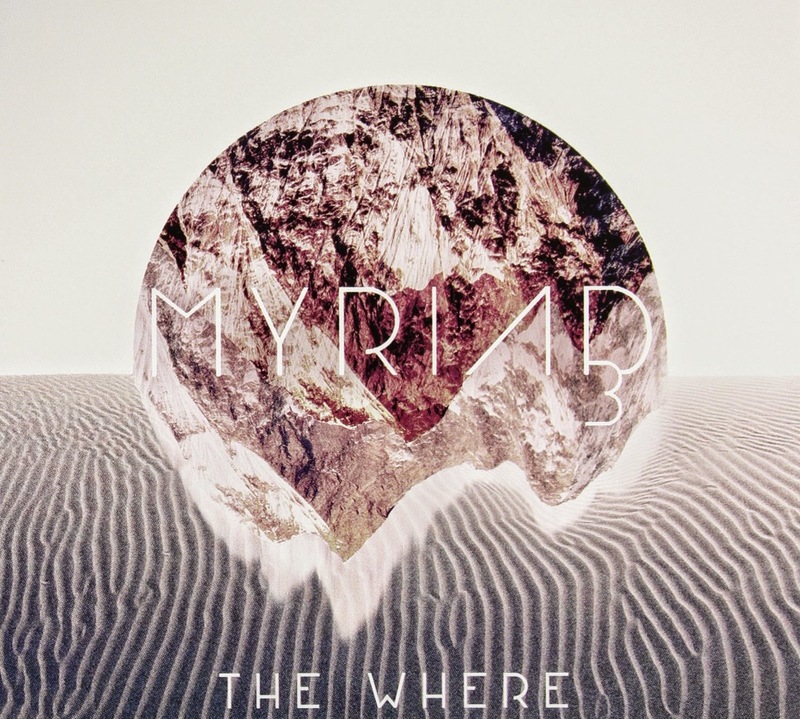 I really enjoyed the debut CD from Myriad3 and now "The Where" is growing on me. The fact that they expanded their sound palette, that they employed the studio, the synths and the reeds, that each member can compose, that they are a cooperative and not a "pianist with rhythm section", all that is good. One gets the feeling that the group is even more dynamic in person (on September 4, they embark on a 10-day, 6 gigs, tour that includes 5 dates in the U.S.) With the incredible amount of piano-bass-drums trios in the world, it's tough to stand out of the crowd. Myriad3 does just that, with style and imposing musicianship. For more information, go to www.myriad3.com. Lee Konitz was 5 months shy of his 83rd birthday when the gig celebrated on "First Meeting: Live in London, Volume 1" (Whirlwind Recordings) took place at the Pizza Express Jazz Club. Joined by frequent collaborator (certainly over the past decade) Dan Tepfer (piano) plus Jeff Williams (drums) and label-head Michael Janisch (bass) - the recording is credited to all 4 - Konitz, not surprisingly, did not rehearse nor create a playlist for this gig (he doesn't even play on all the tracks). The octogenarian, who first recorded in the late 1940s, has taken some heat over the past few decades for his repertoire, often limited to pieces he has played for most of his career. Tough - he rarely plays with the same musicians and never plays the same solo. Most, if not all, of the tunes are launching pads for improvisations. This is a fun date in that it's not just a quartet recording. There are trio pieces (one with sax and rhythm section, one with piano and rhythm section) as well as a sparkling duo reading of "Body and Soul" featuring Konitz on soprano in dialogue with Tepfer plus the "Outro" for alto sax and drums. "All The Things You Are" is the feature for the soprano sax with rhythm section; the piece stretches out for 10 minutes with everyone getting ample solo space and making the best of it. Konitz's soprano work is impressive in that he sounds just like himself. He sits out "Giant Steps" giving Tepfer the opportunity to really dig into a juicy solo which leads to a lengthy, melodic, turn for Janisch (supported nicely by Williams until he drops out for a piano/bass conversation.) "Alone Together" opens with a fine bass solo before the piano and drums enter, pushing the tempo up (great piano solo) and making way for a strong soprano solo (touch of Wayne Shorter in several of the phrases plus a neat quote of "St. James Infirmary"). Williams' work is free and easy, moving around underneath the solos and stepping for his own muscular solo. On "First Meeting", Lee Konitz shows that he still can surprise the listener. He deftly blends melody and improvisation so his playing flows. His interactions with Dan Tepfer, Jeff Williams, and Michael Janisch never sound forced; they do not hold back unless the song calls for quieter passages. Musicians "play" and, on this recording, the sense of "play" is palpable. Hope "Volume 2" comes sooner rather than later. For more information, go to www.whirlwindrecordings.com/first-meeting-live-in-london-vol-1/.